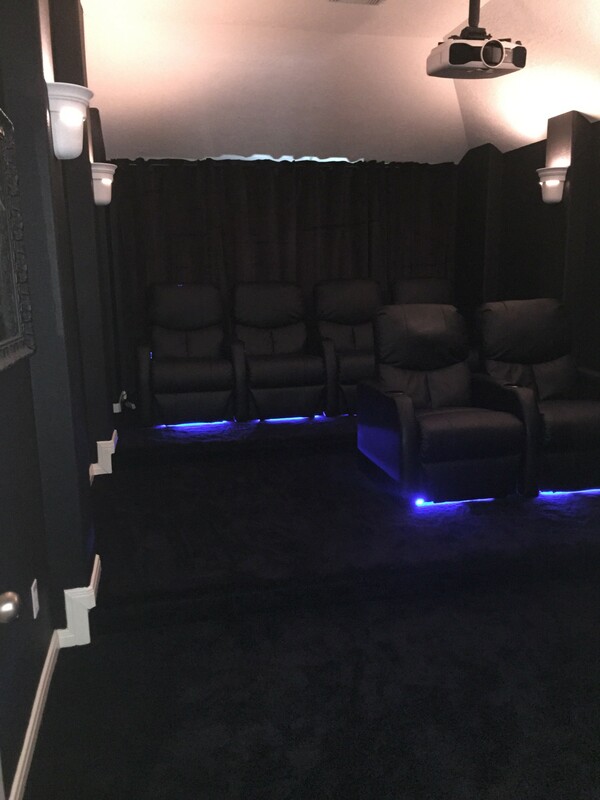 Home Theater and Media Room Remodel. All black media room. Projector and Mounted Screen. Surround Sound and all the glitz.